Hosting an online store with SiteGround since year 2013. It’s so great to have Kalen, owner of Bon Bon Boutique, agree to an interview regarding her experience with SiteGround! 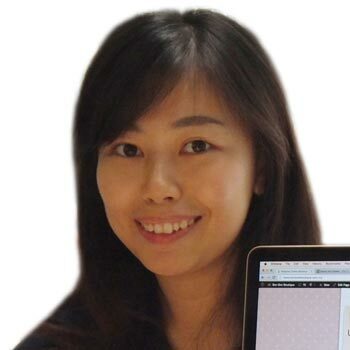 We found out a lot about this top-rated web host and how it performs for e-commerce transactions – and for the ladies reading this interview, you simply must visit her chic fashion site. Welcome, Kalen. You have such an appealing e-commerce site! What was your inspiration for the design? I like polka dots and cats. So I tried to mix these two things up to create a feminine design. Pink is romantic and most girls love the color pink, so I looked for a way to incorporate this in the design, too. I wanted to make the design a bit cozy since it’s a home-based business run only by myself. I believe in serving my customers personally. You’ve done a great job of creating a site that is appealing to girls and women. So, which SiteGround plan are you using to host Bon Bon Boutique? I’m on the StartUp plan, which is just right for a single website with 10,000 or less visits per month. As my business, BonBonBoutique.com.my grows, I may have to upgrade, but for now the StartUp plan, which is shared hosting, works great and it is very reasonably priced. "I’m on the StartUp plan, which is just right for a single website with 10,000 or less visits"
I see that your site uses the very popular WordPress CMS. How easy was it to install WooCommerce? Very easy. WooCommerce is a free plugin. I just downloaded the plugin and activated it from within my WordPress dashboard. The only thing I pay for is the iPay88 Payment Gateway plugin that is needed to set up the shopping cart with my payment processor. This plugin is specifically for payment processing in Malaysia and Singapore. I purchased a WordPress WooCommerce-compatible template – MayaShop – from Themeforest to make WooCommerce installation very easy, too. You’ve been with SiteGround for a while now. What do you find are the best feature(s) of your plan? I like that shared hosting includes free CloudFlare CDN and the SiteGround SuperCacher, both of which make my pages load faster for customers. The SuperCacher feature is specifically for WordPress sites and one of the reasons I selected SiteGround for my hosting. "…shared hosting includes free CloudFlare CDN and the SiteGround SuperCacher, both of which make my pages load faster…"
I like their HackAlert service, too. It costs an extra $1 per month, but I haven’t ordered it yet. This service scans a site’s pages daily looking for any possible malware threats. Probably I need to set this up after this interview! I particularly like their “User Area,” a portal where I can access all my account features, services and other information. No web host is perfect, so, what is the worst feature of your hosting plan? Honestly, there is nothing I don’t like about SiteGround. The cPanel is user-friendly, the email responsiveness is good – I set up my mailboxes in my local mail client and it works great. Perhaps the only complaint I have is that I can’t generate a full backup for an account that is larger than 500MB. My e-commerce site is very image-heavy and the entire account size is around 800MB and growing. So to back up my site, I need to do it manually: 1) Export the database from the phpMyAdmin; 2) Then download all the website files, WordPress template, plugin files, etc. through an FTP program. It just requires extra steps, whereas if my site was smaller, I could set up an automatic backup through cPanel. If I wanted SiteGround to do it for me, backup service costs an extra monthly fee. "…I can’t generate a full backup for an account that is larger than 500MB." It’s important for an e-commerce site to be agile and the pages to load quickly. Have you experienced any lag time problems? Nope. Not at all. I chose SiteGround for its Asia-Pacific datacenter in Singapore because my target audience is nearby, in Malaysia. Paired with the free CloudFlare CDN and SuperCacher, I find page loading speed is excellent. I don’t recall any customer complaining about slow loading. That’s really good to know. What is your experience with SiteGround’s customer service department? The only thing I have had an issue with was a billing matter. I was trying to change my payment method and I had to contact customer service for that. Their service is good: fast response time, accurate information and instructions. I have confidence that they could solve any potential hosting problems. "Their service is good: fast response time, accurate information and instructions." Besides contacting their support department, SiteGround provides a very big knowledgebase where answers to most questions can be found; it’s a very good source of information to DIY anything. Would you recommend this hosting service to others wishing to create an e-commerce website? Yes I would recommend SiteGround for creating an e-commerce site. I like the fact that they have different datacenters in different parts of the world. I can request to move my site to wherever I want if I decided to target customers in other regions. They also offer full-range hosting plans to which I can upgrade when my business grows. The next step up is a GrowBig plan, and that one includes a free SSL certificate, which I could definitely use. "I can request to move my site to wherever I want if I decided to target customers in other regions." Also I think they are very user-friendly, so anyone can easily start their own e-commerce website and get extra help from SiteGround, if necessary. Thank you so much for your time Kalen.